Rats are a common problem throughout six of the seven continents of the world (they don’t care for the cold of Antarctica) and due to their tendency to like living alongside humans we consider them a pest. But if you find yourself with rats living in your home, then they quickly cease being a pest for you and become a real problem. Fighting back and getting rid of rats if not that easy, even for rodent control experts, as they are one of the most successful mammals on earth, alongside humans. However, to quote a partial proverb made famous by Sun Tzu in his Book of War, “ if you know your enemies and know yourself, you will not be put at risk even in a hundred battles.” So understanding more about how rats live can give us a valuable insight into how to get rid of them. The common brown rat, or Rattus norvegicus to use their proper name, are very well adapted to several aspects of life. They are very good at finding food, building nests in safe places and most definitely breeding. One of the reasons rats have been so successful in dominating the rodent underworld of our cities is that they can reproduce at a rate of knots. If you ever hear someone use the phrase “breeding like rabbits” you can stop them where they are and correct them, as rats breed considerably faster than rabbits do. Rabbits can generally only reproduce in the warmer months of the year, depending on location and breed, whereas rats can breed all year round with the gestation period for pregnant female rats is only 21 days and for rabbits it tends to be nearer 30. A litter of rats will usually number approximately 14 but rabbit litters will vary between 5 and 9 on average, but again this will differ by breed. Both animals can get pregnant again almost instantly after giving birth, but the real knockout blow for rats is that they reach sexual maturity and are able to reproduce after only five or so weeks, whereas rabbits take six months. So rats definitely breed faster and having that in your home can become a big problem very quickly. The evil that rats do? 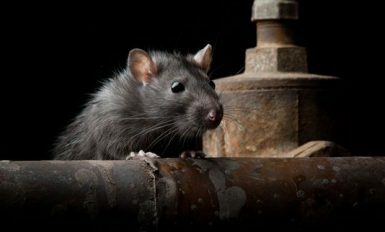 Rats are commonly thought of as being filthy creatures that live in dirt and carry countless diseases; this tends to cause a fearful reaction when rats are spotted and a quick phone call to pest control services. Now, it is fair to say that rats do indeed live in sewers and are attracted to discarded food, but they are not inherently dirty animals. Washing and social grooming is a key part of a rat’s life, but the problems begin with other factors that the rats really aren’t responsible for. Given that rats like to live near water sources, whether that is a reservoir, sewer, pond, river or anything else, this means that they are regularly exposed to the perfect breeding sites for parasites and bacteria. In fact, two of the biggest pandemics in human history, the Bubonic Plague and the Black Death are often laid at the feet of rats, when in fact the bacteria that caused these horrific illnesses was transmitted by fleas that were to be found on black rats, squirrels and some other mammals, but brown rats were just as susceptible to the disease as humans were. Having a rats nest in your house is not inherently dangerous due to the disease that the rats can carry, and they definitely do carry some, but more so their ability to provide parasites an easy means transportation; something that is only made worse by the copious amounts of droppings and urine they leave behind. Rats are natural burrowers; they like to dig tunnels and build their nests in safe, tucked away places and underground is perfect for this. However, they will settle for many warm and dry places, such as a basement or attic or even inside your drywall. These sorts of places provide a safe environment for the rats to start nesting and given that there are humans nearby, there is more than likely a plentiful supply of food available as well. But just because they aren’t living in the earth does not mean that rats will cease digging. They will still scratch and dig at the walls, floors wooden structures of your house as well as furniture and just about anything else that they take a fancy to or stands in their way. To make matters worse, alongside digging at your house, they also love to chew on just about everything. This will result in a lot of damage, especially given the breeding rate of rats and will most likely mean power cables, aerial leads, carpet, insulation, lagging and lots of other things being destroyed and needing replacing. So, from learning about our enemies we know that they are prolific breeders with a tenacity that is almost unmatched on this planet besides our own, but what can be done about them? The answer is to call in the experts as soon as you have even the slightest inclination that you may have a rat problem in your building. 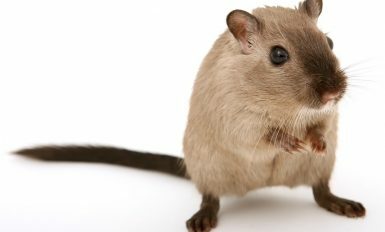 At Expert, we may not have the Pied Piper on standby, but we do have highly trained staff with years of experience in removing rodent infestations, allowing us to offer fast and effective domestic and commercial pest control services. We use one of the rats greatest strengths as a weakness we can exploit; they eat a lot and very rapidly, so we lay baited traps out for them and allow them to take care of themselves. Our pest control personnel will visit the site numerous times to clear away the carcuses and rebait the traps as required, but this will quickly get the population under control and minimise the reproduction rate. This is by far the most effective way to deal with rats and is guaranteed to get results, taking care of your problem as quickly as possible.